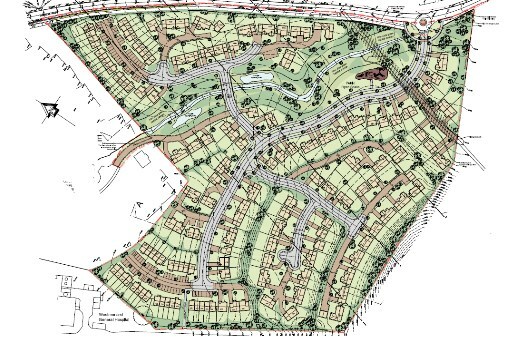 Steven Abbott Associates LLP (SAA) has been successful in securing outline planning permission for a development of 148 dwellings on behalf of Oakmere Homes Limited. The decision followed a three day appeal Inquiry. The appeal site is located within a designated Green Gap between Kendal and Oxenholme. Key issues in the case revolved around whether, in the absence of a five year supply of developable housing land, the proposal would be a sustainable form of development. The Inspector considered the provision of affordable housing, the effect on highway and transport infrastructure and the suitability of the site for housing development – in particular the effect on the Green Gap. The Inspector accepted the case presented by SAA, and in particular that the pressing need for additional housing and the sustainable location of the site outweigh the policy objections to development within the Green Gap. Whilst recognising the fact that the width of the Green Gap would be reduced the Inspector accepted the argument that the proposal would not result in the coalescence of Kendal and Oxenholme, and would not have significant adverse effects on wildlife and nature conservation. The decision reflects the thrust of national planning policy to significantly boost the delivery of new homes. For further information on Steven Abbott Associates LLP’s expert team and its national and regional client base contact us on 01257 251177 or via email.